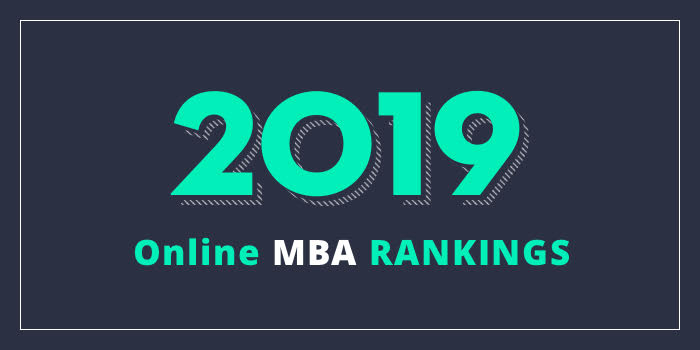 Our 2019 rankings of the Top 10 Online MBA Programs in Texas. For an explanation of ranking criteria, click here. The Naveen Jindal School of Management (JSOM) at the University of Texas at Dallas (UT Dallas) is home to the Professional MBA (PMBA) Online, which allows students up to 72 months to finish. However, students may complete the program in as few as 16 months. There are no on-campus requirements and students have full access to MBA Program Office and Jindal School Career Management Center staff. This AACSB-accredited program utilizes "streaming audio lectures, video clips, online exams, online submission of assignments, and interactivity for group projects using discussion forums, email, and web conferencing," says the school. The 53 credit hour online PMBA also highlights 24 hours of electives, along with an impressive 13 double MS/MBA options, including STEM, and 15 concentrations. Just a few concentration options include Accounting, Information Systems, Innovation and Entrepreneurship, Marketing, Real Estate, and Supply Chain Management. In addition to STEM, MS options include Healthcare Leadership and Management, Innovation & Entrepreneurship and International Management Studies, to name a few. All online PMBA students are encouraged to participate in the school's International Study Programs, which "give direct exposure to business in a global context." Besides offering Exchange Programs and International Internships, the JSOM Study Abroad Office has conducted more than 35 faculty led international study trips in 16 countries for the past 15 years. Jindal School of Management also offers a Professional MBA Flex that allows students to take classes on a part-time basis, usually six semester credit hours (two courses) per semester. The Paul and Virginia Engler College of Business at West Texas A&M University (WTAMU) offers a 31 to 46 credit hour MBA program that may be completed entirely online or through a combination of online and campus courses. Students may choose the General MBA or add an optional emphasis area such as Computer Information Systems, Healthcare Management, Management, or Marketing. Courses for the program are divided into multiple topic areas that cover accounting, quantitative analysis, computer application and technology, corporate finance, marketing, economic theory, management, business integration, and international business. Course highlights include Accounting in Health Care Organizations, Cultural Intelligence, Financial Management of Biotechnology and Health Care, International Human Resource Management, and Social Network and Media Analysis. All students will complete the MBA Portfolio Capstone course worth one credit hour. The AACSB-accredited Engler Online MBA may be completed within a two-year period. However, some students have completed the program in as few as 12-18 months. The College of Business (CoB) at the University of North Texas (UNT) offers an accelerated MBA that may be completed 100% online in just 14 months. The AACSB-accredited program has six specializations including Marketing, Marketing Analytics, Organizational Behavior and Human Resource Management, Strategic Management, Supply Chain Analytics, and Supply Chain Management. Courses for UNT’s accelerated MBA programs are offered in eight-week sessions and the curriculum is identical to the school’s traditional MBA program. Students can expect to take 18 hours in the MBA core, 15 hours in the concentration, and three elective hours, for a total of 36 credit hours. Course highlights include Administrative Strategy, Discovery and Learning with Big Data, Large Data Visualization, Managing Organizational Design and Change in Financial Management, and Organizational Behavior Analysis. Depending on the specialization, students will also take seminar courses such as Seminar in Business Ethics and Social Responsibility, Seminar in Compensation and Motivation, and Seminar in Labor Relations. The MBA program at UNT offers five start dates annually including January, March, June, August and October. Optional International ILEs are part of the Jones Educational Global Experience (Jones EdGE) and include optional seminars, intersessions and study abroad opportunities hosted throughout the program. Students can take up to two additional ILEs in place of two 1.5-credit electives. Exams are held during the final week of each semester and the program can be completed in 24 months. The School of Business Administration at the University of Houston - Victoria (UHV) offers a Global Online MBA Program that is part of the third largest MBA Program in Houston. The curriculum consists of one foundation course, 10 core courses, and two concentration courses. All classes are three credit hours and students who have sufficient academic background can waive the Statistics & Research Methods foundation course, and complete the degree with 36 credit hours. Others will complete 39 credit hours. The UHV Global Online MBA Program may be completed in as few as 18 months and concentrations are available in Economic Development, Entrepreneurship, Finance, Human Resources Management, Management, and Marketing. Course highlights include Business & Society in the International Environment, Global Economics, International Finance, International Management and Leadership, International Operations and Supply Chain Management, and Management Information Systems and Data Analytics. Graduates of this AACSB-accredited program have landed positions at firms such as BP America, DHL, Halliburton, International Energy Services Ltd., Schlumberger, Siemens, United Airlines, WorleyParsons, and many others. Texas A&M University’s College of Business (TAMUC College of Business) offers an MBA program that may be completed entirely online. The 30 to 48 credit hour program offers Minor options in Accounting, Agribusiness, Business Analytics, Corporate Management, Cybersecurity, Digital Marketing, Economics, Entrepreneurship, Finance, Financial Planning, Healthcare Administration, International Business, Marketing, and Marketing Analytics. Students may choose the MBA with a Minor or the General MBA, which requires six hours of electives. Students in both AACSB-accredited programs will take courses such as Advanced Managerial Accounting, Applied Business Research, Financial Management, Marketing Management, and Strategic Management. Another program highlight is the British Studies Program. TAMUC participates in a consortium of 11 universities in the British Studies Program, which allows students to earn an MBA in British Studies. The program requires a summer session at King’s College in London. University of Houston - Clear Lake (UHCL) offers an MBA program that allows students to earn their degree 100% online or in hybrid format. The 36 credit hour program may be completed in 14 months full-time by taking two courses per 8-week term across the fall, spring and summer semesters or in 28 months part-time by taking one course per 8-week term across the fall, spring and summer semesters. The UHCL MBA offers three optional concentrations including Environmental Management, Finance, and Human Resource Management. Course highlights include Accounting for Administration Control, Corporate Finance, Executive Decisions in Marketing, Human Behavior in Organizations, and The Global Environment of Business. A Strategic Management Capstone is also part of the program. Offered through the College of Business, the AACSB-accredited UHCL Online MBA takes anywhere from two to three years to complete. The program has two unique options including the MBA with 16-week terms and the Accelerated MBA with 7-week terms. The 16-week term MBA has a General MBA Option, Engineering Management, Oil, Gas & Energy, Organizational Development, and Quality Management Specializations. The Accelerated Option also has the General focus as well as Cybersecurity, Healthcare Management, and Marketing Specializations. Students can expect to complete AACSB-accredited UT Tyler Soules Online MBA Program in 18 to 24 months. The College of Business at Sam Houston State University (SHSU) has an online MBA program that offers fall, spring, and summer enrollment. The program consists of 27 hours of core courses and nine hours of electives for a total of 36 credit hours. Sample courses for the program include Accounting for Management, Financial Management, Managerial Communication, Marketing Management, and Techniques of Statistical Analysis. Students can also expect to take several seminar courses including Seminar in Team Leadership, Seminar in Operations Management, and Seminar in Strategic Management and Policy (Capstone). For a more focused degree, students may choose the nine hours of electives from all graduate courses in the College of Business. Working professionals typically complete SHSU’s AACSB-accredited Online MBA Program in approximately two years. Others may complete the program in as few as four semesters.